Shopping with mom can be very fun ... and exhausting! Just Shopping with Mom by Mercer Mayer was published in print in 1989. 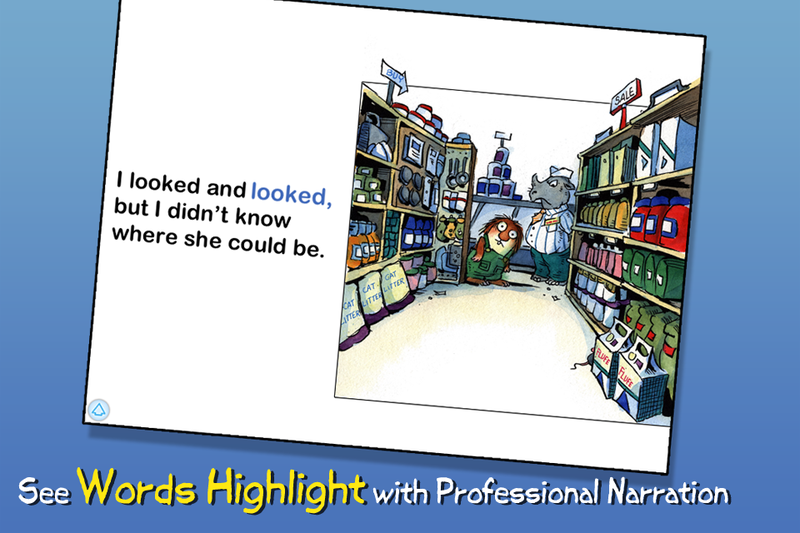 It tells the story of Little Critter and his two siblings on a trip to the grocery story with their mom. The little sister in particular is giving her mom trouble, asking for things and disappearing down the aisles. For once, Little Critter is the voice of reason, trying to drag his sister back and get her to put stuff back. The digital version of this story also adds a new twist, keeping track as the reader tries to find all the little mice (19 total) hidden on almost every page. Little Critter goes shopping with his family which turns into an eventful day. While at the grocery store, his little sister becomes upset when she can't buy candy, makes a big mess by pulling items off of the shelf and then gets lost in the store. The next stop is the mall to find a dress for his little sister. Finally, Little Critter's patience pays off when mom finds a fun way to end the day!